Today humanity reached a milestone in space exploration when the European Space Association’s robot probe, Philae landed on Comet 67P/Churyumov-Gerasimenko. European Space Agency? When did this happen? Do their astronauts smoke cigarettes in space? Is their space program like their movies, with their shuttles meandering and philosophizing instead of executing targeted missions? That’s the extent of what I know about Europe, beside the fact that their health care is probably better and that World War III can now potentially be fought in space. Man, America has really dropped the ball. Yeah, I suppose we put a rover on Mars, but we’re looking into collaborating on our Mars mission with India, who also recently launched a probe to Mars. There was a time when America took pride as the leader in space exploration. Much to the chagrin of Neil DeGrasse Tyson, we’ve cut our NASA budget leading to the outsourcing of our rocket needs to other countries. We did it with customer service, manufacturing, and now space exploration. 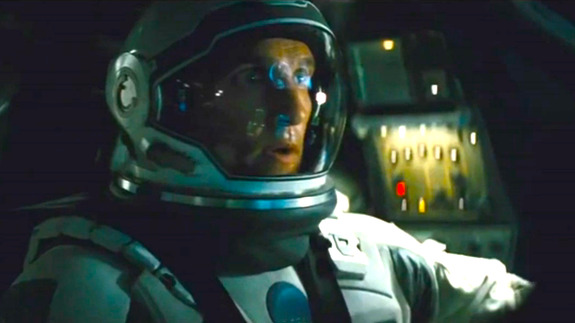 Meanwhile, the #1 movie in America is Interstellar, starring Matthew McConaughey, reprising his on and off-screen role as the Savior of Humanity. McConaughey is quintessentially American, with his Texas twang and morose optimism. The fact that he was cast in this role and not an Australian or Englishman faking an American accent is a genuine touchstone of authenticity of a bygone era. American heroes are quickly disappearing. Many of the leading men of today are acting like Americans as opposed to actually being them, and perhaps this phenomenon has gone hand in hand with the decline of the pioneer spirit of America. My goal is to write the word America as many times as possible in this post. America. At least not any human man. In 2014, we have a mere shell of our space program. We lean upon the rocketry of other nations to get our payloads into space. We have abandoned most manned space flight in favor of robots, and it appears that many of the next accomplishment in space exploration will no longer be led by America. Perhaps this is just a step in the evolution of globalization. No more nations, no more separating humanity into groups, just Earth. He marveled at how quick the transition was. Terrestrial humans who grew up with varying degrees of geographic and nationalistic attachment can give all of that up once removed from the context of Earth. Maybe that’s all it takes. Maybe it’s a good thing that America no longer is the leader in space exploration and is part of a collaborative effort from all of humanity to advance our understanding of the cosmos. Sure, a bunch of science denying Republicans were voted in, but maybe the affairs of terrestrial politics will be quickly outmoded by the needs of our species to scatter and adapt to the pressures of our planet. Matthew McConaughey may be the leader, but his boss in the movie and in real life are Englishmen. Perhaps instead of re-donning the yoke of English colonialism, this is a step forward in dissolving the lines of division between human beings and an embracement of the need for cooperation in the face of the coming future.